Are you looking for fresh contemporary imagery for your liturgical vestments? Or perhaps liturgical stoles that will inspire and encourage meaningful dialogue? 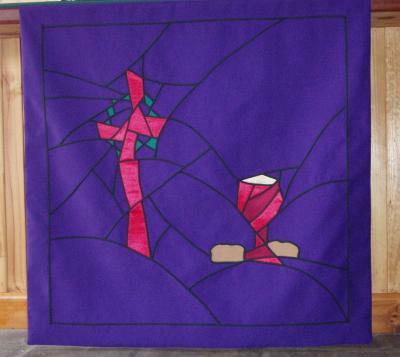 Or an altar cloth, church banners, or stoles that reflect your spiritual focus? Hello, my name is Alison Friend. Here at Contemporary Vestments, I aim to use symbolism as a way of inspiring meaningful dialogue for the spiritual journey. You also may find some fresh new ways of imaging God. I invite you to explore all the pages for the images or symbols that speak to you. Feel free to discuss with me how they can be used on your particular vestments or altar cloths. Whatever you’re looking for – liturgical stoles, Anglican vestments, priests vestments, deacon vestments, altar cloths or church banners, you’ll find contemporary and creative images and symbols which I will adapt to suit your purposes. I invite you also to seek the meaning behind the images as you take a tour around this site. Enjoy! Most of the vestments that are in common use today, were originally the standard work clothes of people of the early Christian church. Liturgical Stoles started out originally as a general work cloth – something handy to polish things, and to wipe the face with! It’s understood they started being used to clean the church silver, and this led to them being regarded as a Eucharistic garment. Nowadays the stoles are used mainly by ordained clergy and they are decorated with significant spiritual and religious symbols or images that depict or translate the human journey. Chasubles began as an outer garment used to cover the wearers’ work clothes. This garment was new and clean, and was seen as setting the wearer apart for administering the sacraments. Gradually chasubles and dalmatics, like the stoles, became exclusively used as liturgical vestments. Deacon Stoles and Dalmatics are worn by ordained deacons throughout the Christian Church. Deacons in most denominations, have the role of servant or messenger. They are ordained to compliment and support the priest or minister, & to serve in areas of need and justice. St Stephen of the New Testament was one of the first deacons appointed by the early church. "Your work is incredible. In my 15 years of ministry I have not seen so many designs that took my breath away." "Your stoles are proving to be a meaningful focus for pastoral converstaion." "Thank you for the loving use of your wonderful creative gifts in your making of my stole." 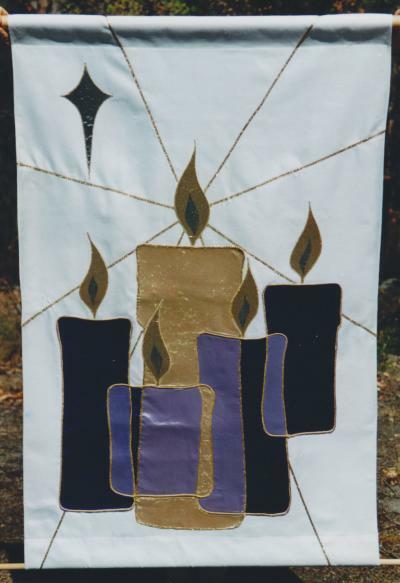 "As an ex-moderator of the WCC Worship Committee, and one who has travelled widely in the church, I would say your stoles are the most beautiful, finely crafted and designed of any I have seen." "Alison the stole...is BEAUTIFUL! I absolutely love it!! The workmanship is impeccable. You have been blessed with a tremendous gift. Thank you so very much." "I was deeply moved by your remarkable design and the story it tells of our faith and its possibilities."